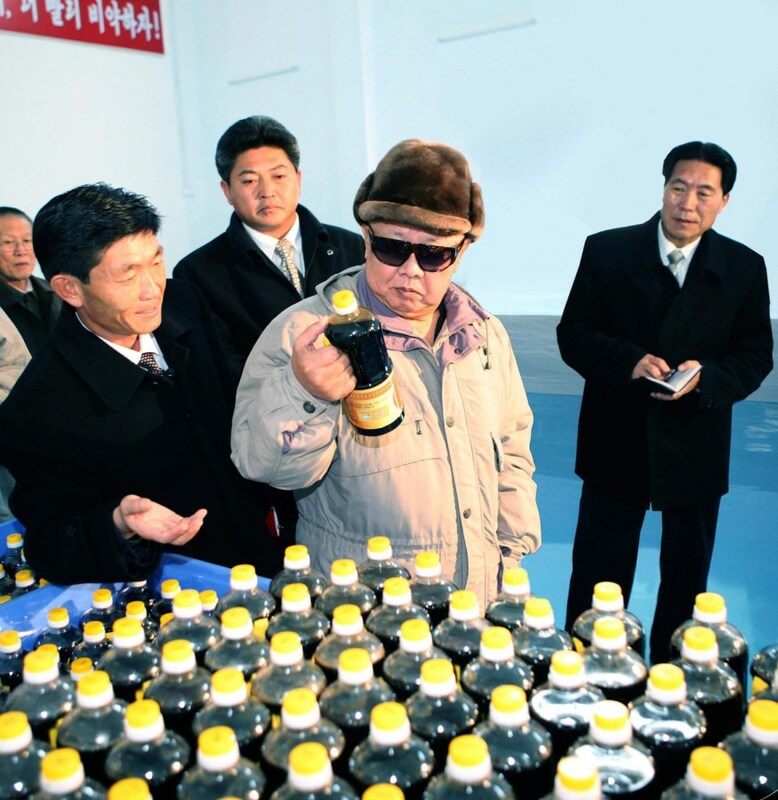 An undated recent picture released by the (North) Korean Central News Agency on Nov. 25, 2010 shows North Korean leader Kim Jong Il providing field guidance to the newly built Soy Sauce Shop at the Ryongsong Foodstuff Factory in Pyongyang, North Korea. 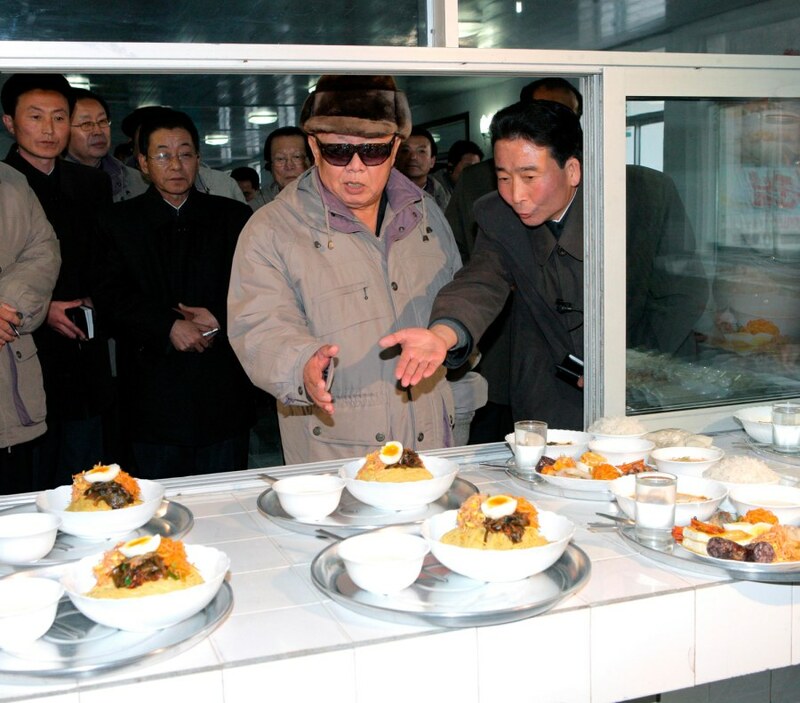 North Korean leader Kim Jong-il visits a mess hall of a branch factory of the Ryongsong Machine Complex in this undated picture released by the North's official KCNA news agency in Pyongyang December 1, 2010. Hot on the web this week via Tumblr is this collection of images of Kim Jong Il looking at things. Overwhelmed by the latest data dump released by whistle-blowing website WikiLeaks? Not to worry! As always, the Internet has highlighted the items of utmost importance for your convenience. Among other frank details that the Obama administration says could potentially endanger lives, the leaked memos reveal China’s frustration with North Korea. Beijing would be open to a Korean peninsula unified under South Korean rule, the cables imply. For North Korean leader Kim Jong Il, there’s no way that speculation can come as welcome news. In reaction to this diplomatic crisis in the making, the blogosphere did what it does best: It passed around a hard-hitting, informative blog called kimjongillookingatthings.tumblr.com, and it’s exactly what it sounds like. There are photos of Kim Jong Il looking at produce. There are photos of Kim Jong Il looking at shoes. There’s even a photo of Kim Jong Il looking at a PowerPoint. Clearly, if anything could help you dissect the WikiLeaks situation, this blog would be it.